Painted chair by Jeff Schaller. 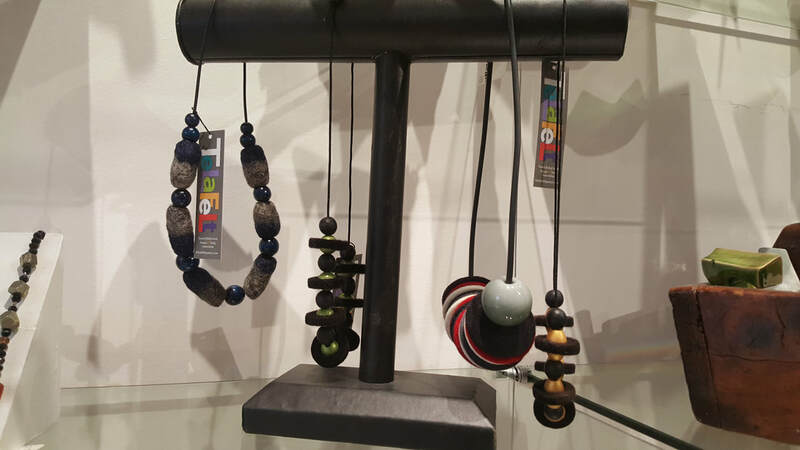 Felted necklaces by Marsha Biderman. Thrown mugs by Eva Hozinez. West Chester Galleries are complete with a new Gift Shop. Swing by to browse our intimate collection of artisan items. Not sure what that special somebody wants? ... We sell "art dollars". Gift Shop Hours: Monday-Saturday 10am to 5pm. See what's on display in the West Chester Galleries HERE. Don't forget to check out the wonderful selection of originals, prints, unique gifts and featured artists at Exton Square Studio Gallery HERE. Refunds/Returns: Art sales and Gift Shop purchases at Bradford Avenue and Exton Square Studio are non-refundable. Store credit is offered if returned within 14 days of purchase.